Blood deficiency, dizziness, blurry vision, gray hair, sore and weak low back and knees, spermatorrhea, tinnitus, numb limbs, menstrual disorders, toxin elimination, constipation, postpartum, elderly, recovery from chronic illness, lowering cholesterol, angina and heart disorders are some of the imbalances satisfied clients have used this product for. 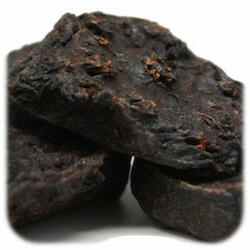 Unprocessed He Shou Wu acts to tonify and eliminates toxins at the same time. Regular bowel movements are dependent on proper nourishment of the intestines. When body fluids and blood are deficient, constipation or dry stools may occur. 2 to 6 grams per day or as directed by your wellness coach. Each package contains 200 grams. Contains non-gmo black soybean.